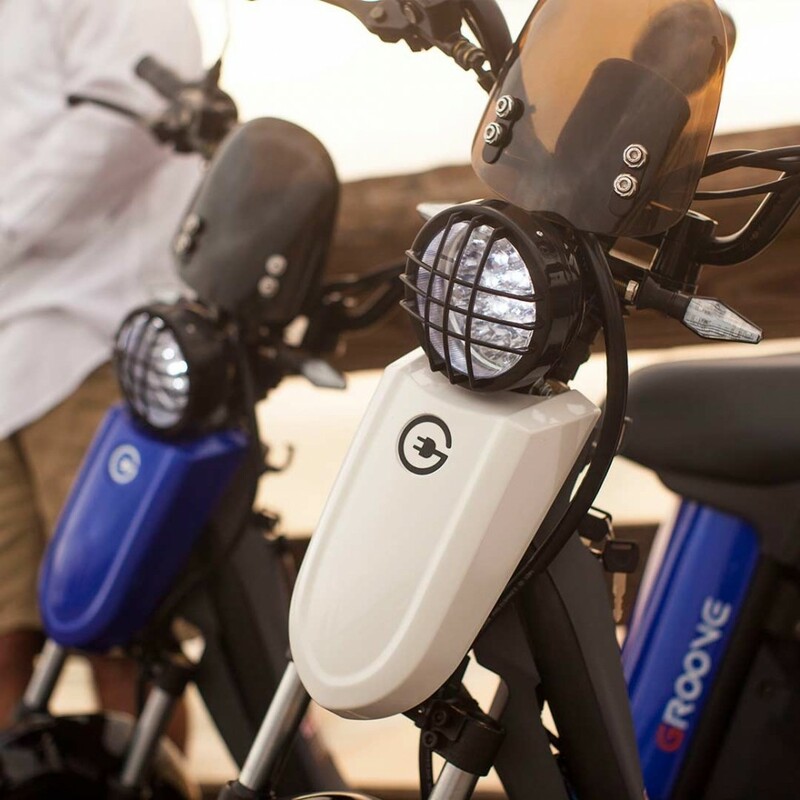 The GIGABYKE GROOVE is your classic retro moped with a modern twist. 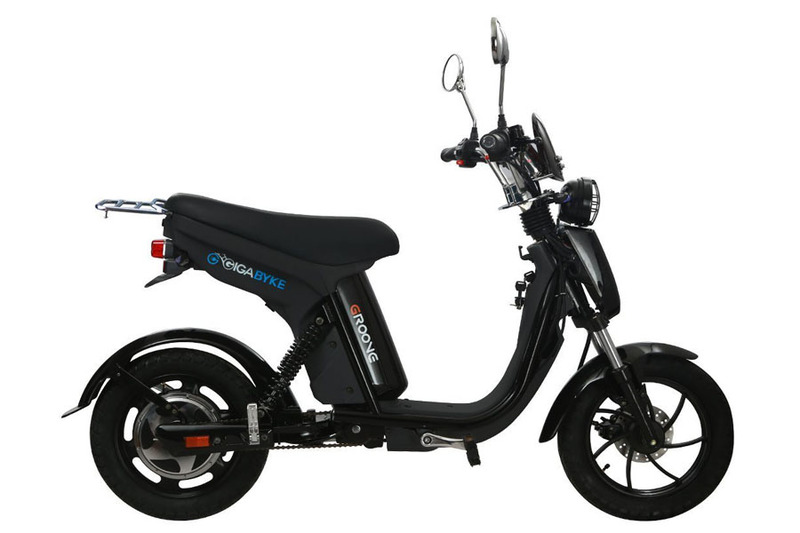 It has that Vespa and Lambretta vibe but with state-of-the-art features such as long-lasting LED lights, a powerful motor and great mileage on a single charge. 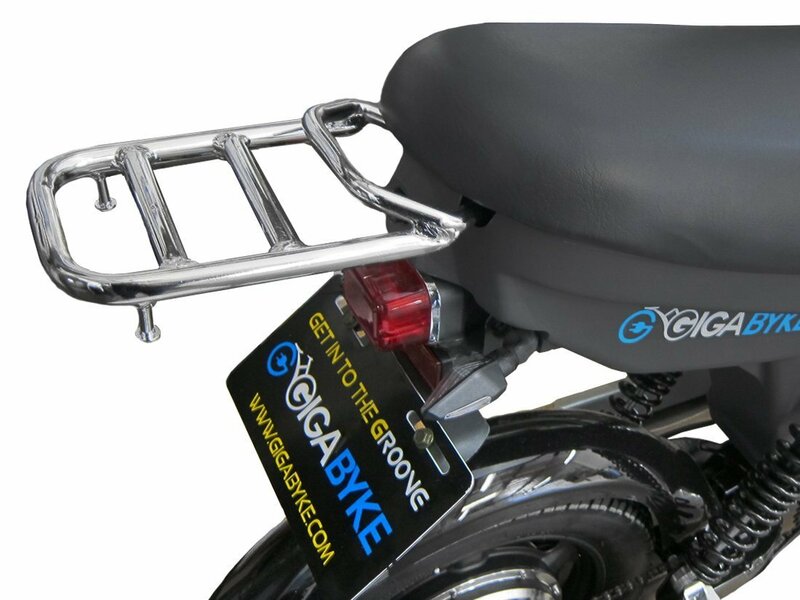 The GIGABYKE GROOVE sports a retro look and pays homage to the stalwarts of e-bikes, the Vespa and the Lambretta. 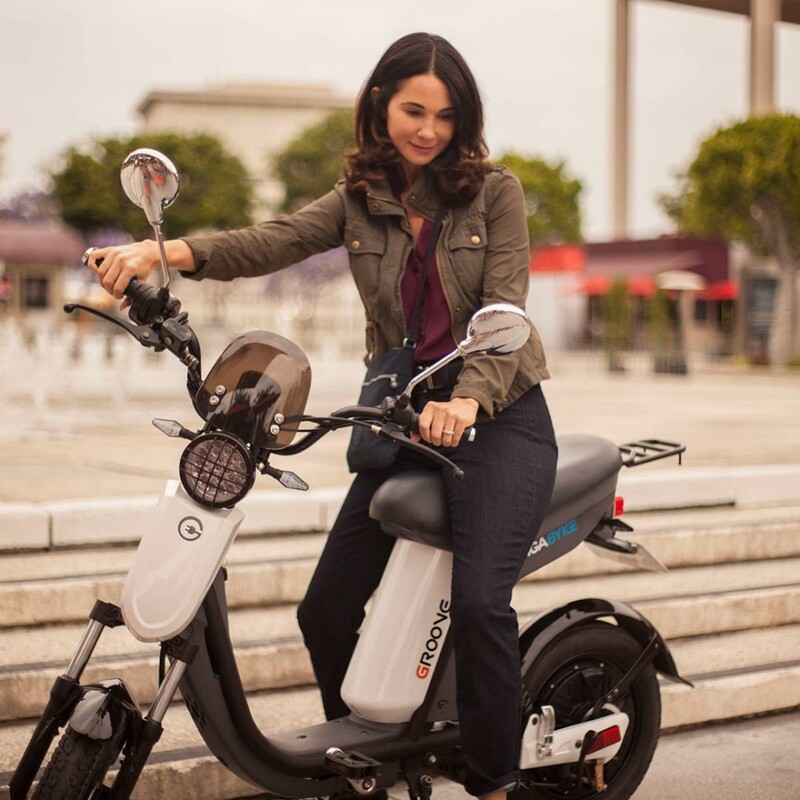 It is your classic moped but with all the modern comforts of the century. This isn’t yesterday’s bike. 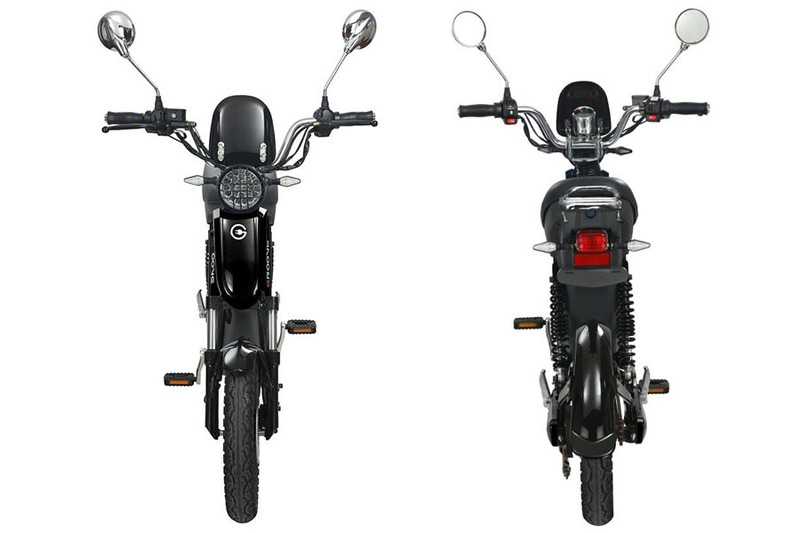 The front headlight is an LED which has a lifespan of 50,000 hours. And if you’re wondering how everything fits into the GIGABYKE GROOVE’s slim frame, it’s because you won’t find a giant engine on this one. One panel contains a 48V silicon battery while the other panel holds a powerful 750W motor. 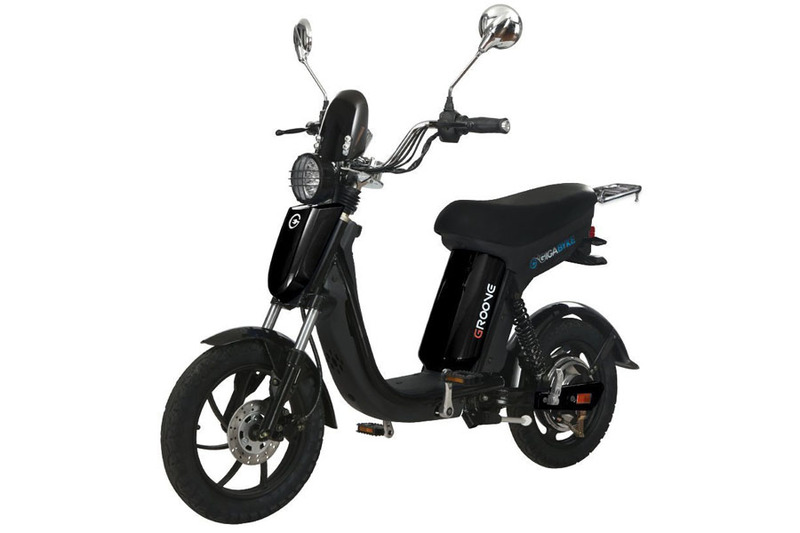 Includes 48v, 14Ah Battery and Boasts a Top Speed of 20mph and a Range of up to 35 miles. 6 Hours to Fully Charge Battery. Max Rider Weight is 250 lbs. 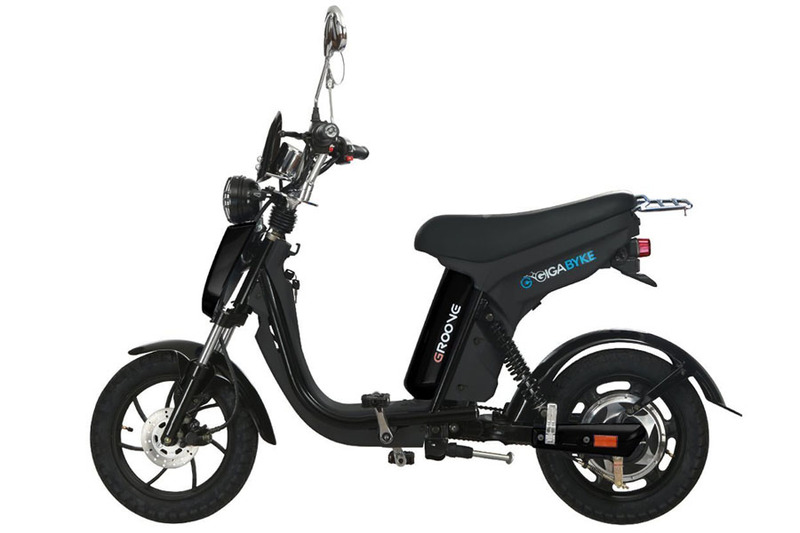 The 176-lb GIGABYKE GROOVE is powered by a 750W brushless motor with a 48V 14 AH battery and can carry loads of up to 250 lbs. Maximum speed tops at 20 mph, while distance covered on a single charge is 35 miles. 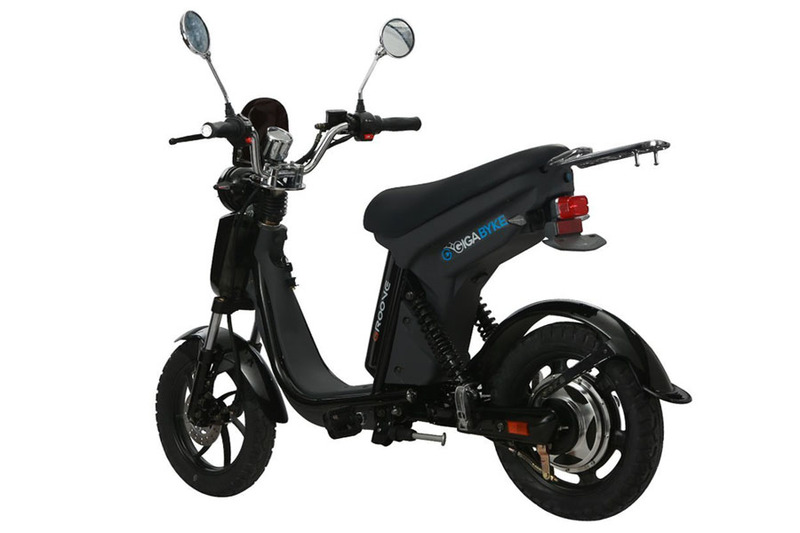 Other notable features include front and rear disc/drum brakes, LED front headlights, LED blinkers, digital speedometer and prominent traits that would catch the attention of Vespa and Lambretta fans. 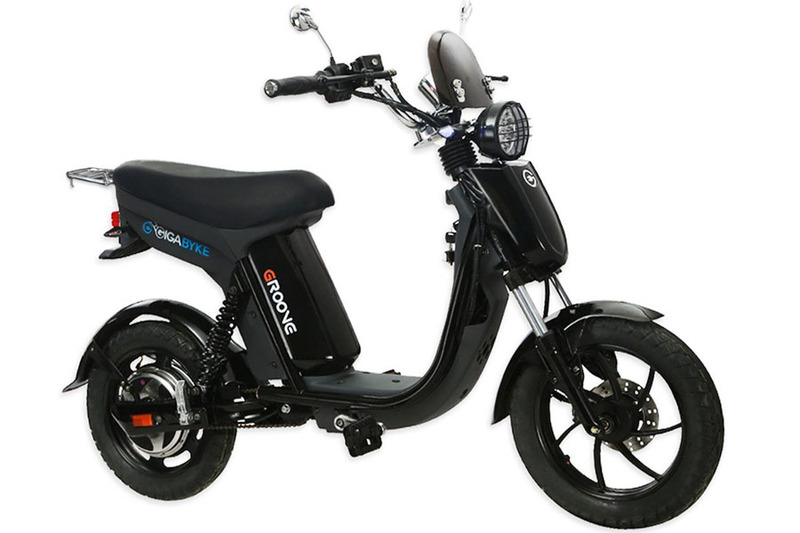 This model’s solid build, heavy-duty steel frame, powerful motor and classic design have helped it earn 5 out of 5 stars in most electric moped reviews. The only con that we’ve come across is its safety features. When parking in public places, one customer suggested putting a raincover on it and securing it with locks on each side (as the wind may blow it up like a sail). A bike alarm for less than $10 on Amazon is also recommended.